Estefanía “Stefy” Plun is a crochet artist from Cordoba, Spain whose shop Iradumi has the most adorable amigurumi crochet dolls and animals. Learn more about her in this interview. I thought I’d take a look back at some of those early Etsy crochet posts and see what’s still around on the web. Here’s what I loved then and still love now in Etsy crochet. 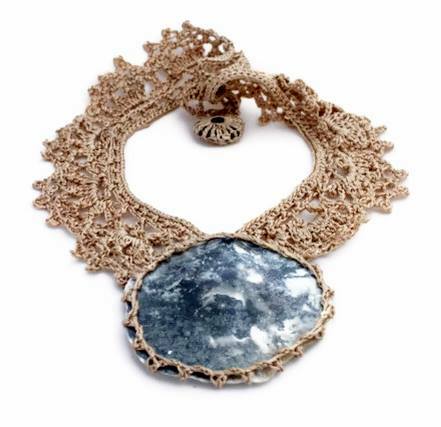 Mor Yom Tov is an Israel-based jewelry crafter who does beautiful work creating one of a kind crochet accessories. Etsy artist Asta creates original sea glass crochet jewelry, unique home decor items and more. 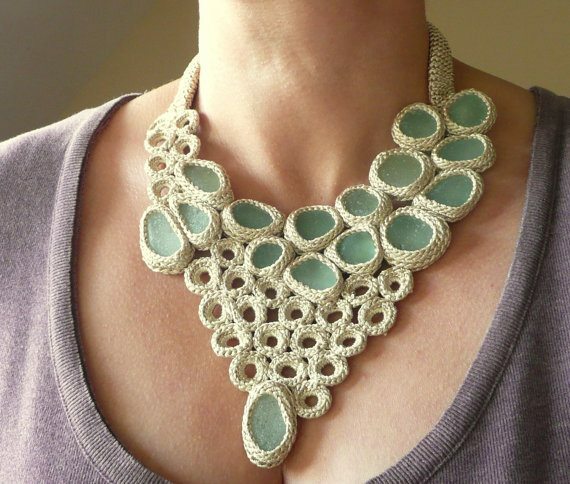 Etsy’s Yoola creates beautiful crochet wire work, mostly jewelry but also great decor for the home. 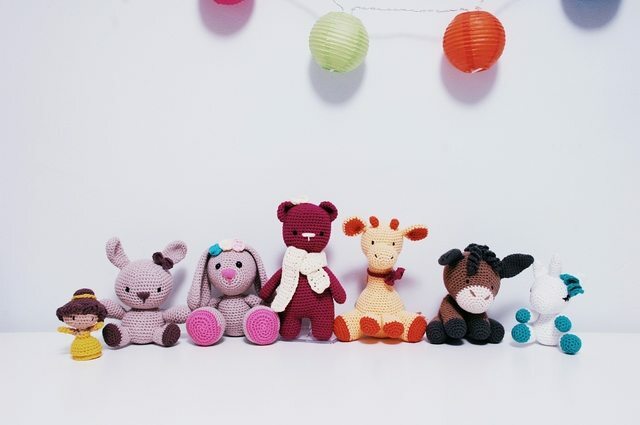 Annie is a fashion designer with a small business on Etsy and she incorporates a lot of great crochet into her work. 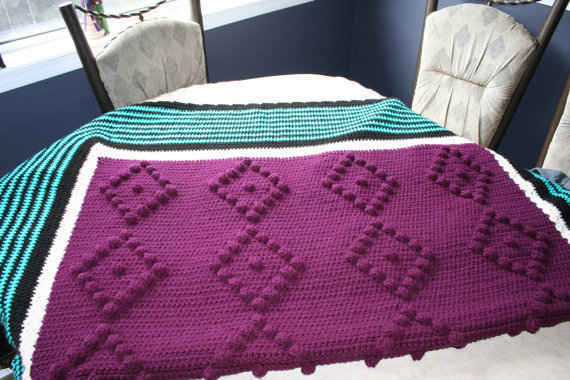 Today’s Etsy crochet selection is the Purple Popcorn Diamonds with Teal Stripes crochet afghan listed for $550 by JennisCrochet.